Although information presented by the Institute is based on Tibetan Medicine principles practiced since the 7th century A.D, it should not be taken or construed as standard medical diagnosis or treatment. For any medical condition, always consult with a qualified physician or medical practitioner. Neither The Tibetan Medicine and Astro Institute and its employees and authors shall be held responsible in any way for problems encountered by the use of the products, substances and procedures mentioned in information presented by the Institute. Nothing whatsoever here is intended to diagnose, prescribe, treat, cure or prevent any disease. Viewing this page signals your agreement to the terms listed in the detailed Disclaimer. The links on this page will let you leave The Tibetan Medicine and Astro Institute's www.men-tsee-khang-exports.org site. 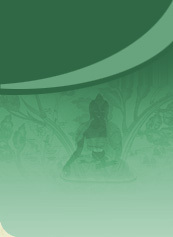 The linked sites and others are NOT under the control of The Tibetan Medicine and Astro Institute, nor www.tibetan-medicine.edu, and The Tibetan Medicine and Astro Institute is not responsible for the availability or information content of any linked site or any link contained in a linked site, or any changes or updates to such site. The Tibetan Medicine and Astro Institute is providing these links to you only as a convenience, and the inclusion of any link does not imply endorsement by The Tibetan Medicine and Astro Institute or www.men-tsee-khang-exports.org of the site. Click for information on The Tibetan Medicine and Astro Institute's Safe Shopping Guarantee and security policies.